The actress’ legal team filed a number of documents in Los Angeles Superior Court on Friday, including her opposition to the defense motion to dismiss her complaint. Also among the filings, a number of expert declarations, including one from AFI awards show writer and producer Cort Casady. “As an award-winning supervising producer for AFI’s tributes to Hollywood’s greatest actors and filmmakers, and as a writer, creator, and producer of televised documentaries, movies, live events, and specials, I am familiar with the protocols and standards in the entertainment industry for including the name, image, character, performance or identity of a celebrity in a script or production,” the declaration states. “It is not industry practice to use a celebrity’s name and identity in a commercial production without permission, and it is certainly beneath industry standards — in fact, it is production malpractice — to attribute false statements and inaccurate endorsements to a person portrayed in a production without their permission,” the declaration continues. “Gone With the Wind” actress de Havilland filed suit in June, on the eve of her 101st birthday, alleging that her identity was used without her authorization in the Ryan Murphy-produced anthology series. The suit also alleges that the 100-year-old actress, who was portrayed by Catherine Zeta-Jones in the miniseries, was placed in a false light. The first installment of the anthology series, which premiered earlier this year, centered on the rivalry between Bette Davis (portrayed by Susan Sarandon) and Joan Crawford (Jessica Lange). TheWrap has reached out to FX, which had no comment on the initial lawsuit, for comment on the latest filings. 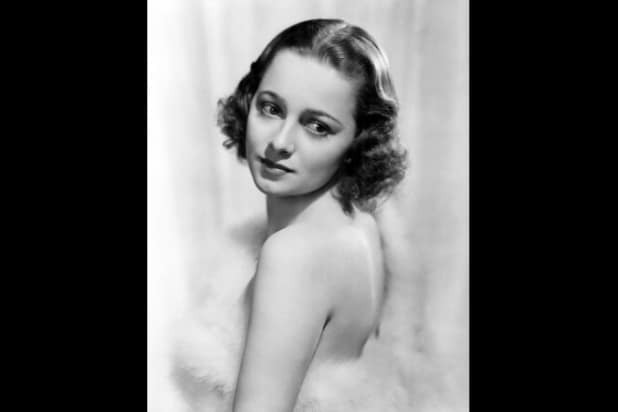 Olivia de Havilland, the last surviving starlet of Hollywood's Golden Age and leader of a studio rebellion to end stars' crippling contracts, turns 101 on Saturday. Here she is in a 1938 publicity photo. Her appearance in a 1935 Hollywood Bowl production of "A Midsummer Night's Dream" led to a Warner Bros. contract that she later fought to escape. Her lawsuit led to the "De Havilland Law," which limits such contracts to seven years. She was paired eight times with Errol Flynn, who often played a thief, pirate or thieving pirate trying to steal her heart. Their most famous film was 1938's "The Adventures of Robin Hood." De Havilland played Scarlett O'Hara's frenemy Melanie in "Gone With the Wind," the top-grossing film ever, adjusted for inflation. She appeared in some of her most acclaimed films after she left Warner Bros., winning two Oscars. The first was for the romantic drama "To Each His Own." She and her sister, Joan Fontaine, are the only siblings to win lead acting Oscars. De Havilland reteamed with "Gone With the Wind" producer Darryl F. Zanuck in "The Snake Pit," a psychological drama about a woman thrown in an insane asylum with no memory of how she got there. The extras in the film were so effective that the British censor added a forward explaining that they were not real patients and were, in fact, paid actors. "The Heiress" marked de Havilland's second Oscar win, this time playing a shy – you guessed it – heiress whose world changes when she is pursued by a handsome (but penniless) suitor. The film went on to win additional Academy Awards for art direction, costume design and original score, and was selected for preservation in the National Film Registry for being "culturally, historically, or aesthetically significant." She was paired in the 1964 psychological thriller "Hush... Hush, Sweet Charlotte" with friend Bette Davis, with whom she sometimes vied for roles. The film was representative of her later, more dramatic performances. 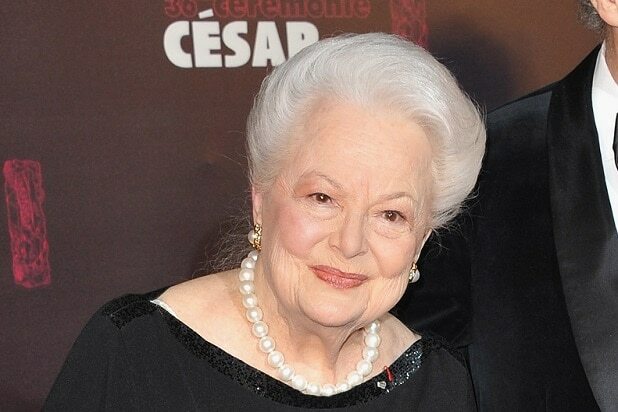 De Havilland was recently played by Catherine Zeta-Jones in Ryan Murphy's "Feud," which portrayed the fight between Davis and Joan Crawford.